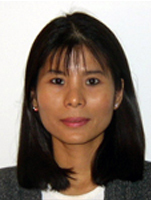 Ms. Ke has an MBA and MS in Computer Science and is a certified database professional in the design, development, administration, and tuning of databases. LihShwu currently manages Oracle and MS SQL Server databases for NCIBI. Prior to working at CCMB, she was a computer system and database specialist for a variety of companies such as Ford Credit, UM Hospital and Pfizer. She has designed and implemented the enterprise's data access architecture and database administration practices for both transaction processing systems and data warehouses. She has been involved with all aspects of computer Systems Validation under FDA guidelines and regulations including HIPAA, GLP, GCP and 21 CFR Part 11 concerning data security and digital signatures. She had provided assistance to companies for the development, implementation and tuning of their business-critical database applications in Oracle Clinical, Applied Clinical Informatics, LIMS and Chemical & Biological Information Systems.